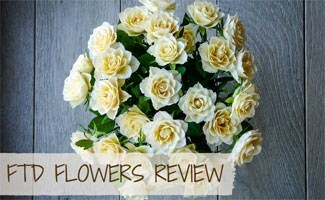 Home > Living > FTD Flowers Review: Blooming Past The Competition? Flowers have a way of brightening up a space and a person’s day. If you’re bad at remembering special occasions and don’t have time to go to your local florist, FTD can send you reminders and deliver an arrangement to your recipient the day of ordering. With numerous arrangements to choose from, you’re bound to find the perfect gift for your loved one. Plus you can add on a card, candy or other items to show how much you care. Read our review of eco-friendly FTD below to learn more about this online floral delivery service. What Are Some FTD Alternatives? Good variety of flowers, plants, gift baskets, candy, etc. Get 10% off sitewide at FTD via this link. We also have a dedicated FTD coupon page where our readers can find and discuss other offers. Take your card message up a notch by learning how to do different lettering as shown in this video below. FTD is one of dozens of online flower and gift basket delivery sites. Want to shop around? Be sure to check out our article where we compare more than 10 of the best places to order flowers online. We even give you our recommendations for online flower delivery companies that specialize in eco-friendly practices. What is your most common reason/holiday for sending flowers? I ordered flowers for my daughter’s birthday on December 26th. A happy birthday greeting card was written with a vase and lilac flowers. Came white flowers without a vase with Christian symbols were delivered. Although we are Jews, I was very surprised how you can send a delivery without reading a postcard … Terrible service. I recently used FTD for ordering some flowers for a client and liked their selection of more formal looking bouquets.